Let our Scientists take care of your needs. 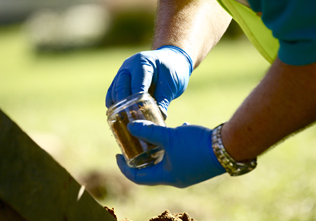 Monitoring is a basic tenet of environmental investigation and remediation. The resulting data is the basis for remedial decisions and will ultimately determine a site’s regulatory status or change in status. Most entry level scientists learn early on how to collect data that is both accurate and precise. While these data qualities are the foundation of good science they will not necessarily lead to accurate conclusions. At Island Pump & Tank we understand that the data we collect tells a story. Recognizing when, where, and why you collect your data is as important as the accuracy and precision. If you don’t answer those three fundamental questions your data loses integrity. Because Island Pump & Tank is with you from the start of your project until the very end, we know where, when and why to collect your data. Answering these questions helps us avoid ambiguous data and close data gaps. The result is an accurate report of environmental conditions and remedial outcomes that will stand up to legal and regulatory scrutiny.